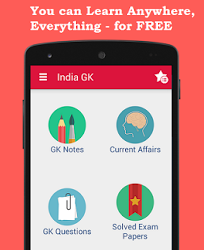 7, 8 June 2017 Current Affairs MCQs, Quiz, Questions: Current Affairs for June 2017, Daily Multiple Choice Questions (MCQs) for India GK, World GK and current affairs with Collection of daily objective type Question by www.Indiagk.net based on General Knowledge (GK) and General Science (GS) Questions for UPSC, State PSC, SSC, Police exam, Railway exam, SBI, Bank PO, IBPC, SSC, LDC, UDC, Army, Airforce, Navy, Coast Guard, Bank Clerk, TET and all entrance examination with current affairs News, Multiple Choice Questions (MCQs) available on Website www.IndiaGK.net and Android Apps with daily updates:. Five farmers killed on 6th June in firing during Protest in which state? India’s largest Qualified Institutional Placement (QIP) worth around Rs. 15,000 crore was raised by which Bank in June 2017? Who sworn-in as new PM of Nepal on 7th June 2017? Polling for Presidential election will be held on which date in India? Which city is hosting Shanghai Cooperation Organisation (SCO) Summit 2017? Who becomes 4th Indian to win on 8th June 2017?